Last week, I wrote about an experience I had with a broker who took offense at the use of the term "broker" in a talk I gave to a group of investors. I found that odd because he is employed by a large brokerage firm. So I asked what he wanted to be called, and he said "wealth advisor." The deceptive use of "wealth advisor"
That exchange (which escalated into a complaint he filed with the event organizers for having me speak to this group of investors and expose active management as a zero-sum game) gave me pause. Why are brokers so sensitive about being called "brokers"? Initially, I assumed it was because "wealth advisor" sounds so much more sophisticated and all-encompassing. But the reason is actually far more insidious. By insisting on being called "wealth advisors," I believe brokers perpetuate the false belief that they have an obligation to resolve conflicts of interest in favor of their clients and to fully disclose these conflicts to them. According to the Public Investors Arbitration Bar Association (PIABA), other names commonly used by brokers to disguise the fact that they're really brokers or salespersons include "financial advisor," "wealth management specialist" and "vice-president of investments." What I consider real "wealth advisors," who are Registered Investment Advisors (RIAs), are legally required to put their clients' interests first. 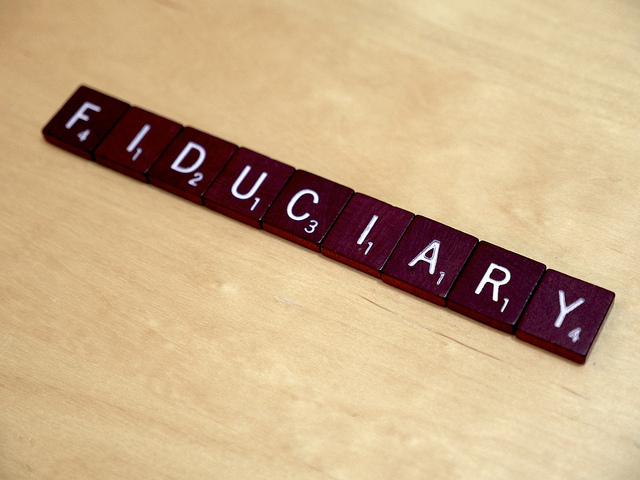 This fiduciary duty is imposed on them by Section 206 of the Investment Advisers Act of 1940, as well as other statutes. If you are using a Registered Investment Advisor, it's easy to verify this fact. Ask the advisor to confirm in writing that he or she will always place your interests above their own and those of their firm. You should receive an immediate confirmation. Brokers seek to bask in the reflected glory of the high standard to which Registered Investment Advisors are held. By insisting on being called "wealth advisors" (just like real "wealth advisors" who are RIAs), they succeed in conveying this false impression. Allstate: "You're in good hands." UBS: "Until my client knows she comes first. Until I understand what drives her. And what slows her down. Until I know what makes her leap out of bed in the morning. And what keeps her awake at night. Until she understands that I'm always thinking about her investment. (Even if she isn't.) Not at the office. But at the opera. At a barbecue. In a traffic jam. Until her ambitions feel like my ambitions. Until then. We will not rest. UBS." Merrill Lynch: "It's time for a financial strategy that puts your needs and priorities front and center." Morgan Stanley: "Having an intimate knowledge of blue chips and small caps is important. But even more important is an intimate knowledge of you and your goals. Get connected to a Morgan Stanley Financial Advisor and get a more personalized plan for achieving success." Anyone reading these advertisements would believe brokers at these companies place the interests of their clients above their own, and perhaps even place great value on doing so. 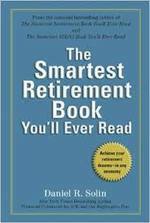 In fact, surveys indicate that most investors believe their broker (aka "wealth advisor") is a fiduciary. Even worse, most don't understand the distinction between the high standard owed to clients by fiduciary wealth advisors and the lower standard to which brokers are held. "Under current law, broker-dealer firms deal with their customers on an arm's-length basis, subject to an obligation of fair dealing. This means that customers cannot rely on their brokers to meet fiduciary obligations of loyalty, care, and competence. In contrast to brokers, investment advisers work solely for their customers, and have an acknowledged fiduciary duty to them. "Brokerages like to have this issue both ways--among other practices, they frequently give their salespeople the title "financial advisor." This term blurs the nature of the firm's relationship with its customer by making the broker appear to be an investment adviser. However, when a dispute arises between the customer and the broker, the brokerage will strongly assert that it does not work for the customer, but instead has only an arm's-length relationship with that customer." If you don't believe me, ask your brokerage firm to confirm in writing that it will always put your interests first. It won't happen. Here's the bottom line: Your "wealth advisor" probably isn't one.